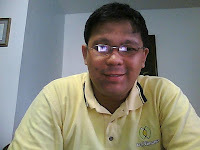 Hi, I’m Vince and welcome to BloggerVince, my portfolio of blogging and website making knowledge. Ever since I started in my full time blogging, I always desire to share God’s goodness to other people. God has inputed in me lots of things in my mind to share it to people who may need it in proper time. So I thought of writing it documenting all those things. I am not a writer by profession but documenting my knowledge is worth writing, compiling and sharing. Furthermore, writing my own blogging and website making experiences might help other people. A Blogger or a Webmaster is a noble work.There is nothing wrong in making money online as long as it is ethical and legal. This is why I choose this profession to be my sideline aside from serving other people in spiritual matters. Perhaps some of you are asking, why blog? Is it really necessary? Is it really helpful? To answer these questions, we need to look and define our world today. This is the only way to explain its importance. Our world today is a world of information and technology. Millions and millions of people now uses the internet to get tons and tons of information each day. Millions and millions of people are engage in chatting and millions and millions of people are engage in social networks like Facebook, Myspace, Friendster, Christianster, etc. And millions of millions of people look for information each day. Blogs can be a good medium to cater users of the internet. Just try to look it in this way. Blogs are like “virtual offices” which has about 90 million prospect audience, people seeking for information, people who needs spiritual encouragement, technical knowledge that you posses. Most people (especially those in the US and Europe) have internet connections in their own homes and utilizes it as tool of knowledge. Having a blog or website can help those people to reach them in those terms. Blogs can be a good tool in presenting your business to the world, fully automated, 24/7. Blogs can be a good medium of communication. It can remind people of your focus of your business and products. There is now “Shout Tool” for websites and blogs. You and your business have a potential of millions and millions of readers. Today, we can now integrate our websites and blogs to other social networks like facebook. Not to mention the raw traffic coming from searches in the internet. Can help your business and family needs to raise funds for your projects. I am not simply talking about asking money, I am talking of some other ways of monetizing your blog like selling something to support family needs, or helping sick people in the hospital, and most importantly paying for your expense in your internet connection and website host. Your blog can give you a lot of friends and connections. Within the first few months when I decided to make my blog, I have increased my friend list to over 100%. I made friends with other pastors from other places and to younger generation who are potential leaders. In the end, I cannot say if having a blog is really necessary for you, but it can definitely give you a good deal of benefits and another source of monetary funds. It can even give you a full time job. 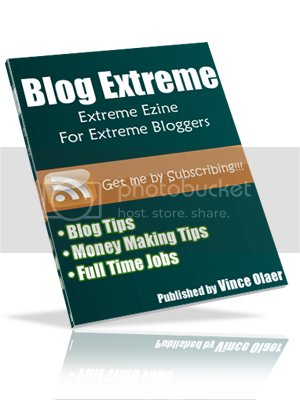 Blogger Vince is intended to help you start your own blog. A blog that will help and give you credibility not hype. A blog that will help you start a legitimate online job.